JERUSALEM (AP) — Israel acknowledged Thursday it killed Palestinian leader Yasser Arafat’s deputy in a 1988 raid in Tunisia, lifting a nearly 25-year veil of secrecy and allowing a rare glimpse into the shadowy world of its secret operations. Two of those involved in the operation that killed al-Wazir now hold high political office in Israel — Defense Minister Ehud Barak and Vice Premier Moshe Yaalon. At the time, Barak was deputy military chief, and Yaalon was head of the elite commando unit Sayeret Matkal. Their precise roles in the operation were not divulged, and both men’s offices declined comment. Israel has long been suspected of assassinating al-Wazir. But only now has the country’s military censor cleared the Yediot Ahronot daily to publish the information, including an interview with the commando who killed him, at least 12 years after the newspaper obtained the information. Israeli officials did not openly confirm the operation. But the censor’s decision to allow publication, after years of stifling the account, amounted in effect to confirmation. The military censor’s main task is to block publication of material deemed a threat to national security. Israel has a longstanding policy of preventing publication of any information that would expose agents, tactics and intelligence gathering methods or put anyone still alive who was involved in harm’s way. In the al-Wazir case, though, it appears that after years of rumors and foreign reports claiming to expose the operation, along with the death of the triggerman, the censor’s office decided to drop its objection to publication. Many of the details and identities of those involved still remain classified. From a command post on an Israeli boat in the Mediterranean Sea, 26 Israeli commandos reached the Tunisia’s shores on rubber boats. Lev, the commando, approached Abu Jihad’s home in the capital, Tunis, with another soldier, a man dressed as a woman. The two pretended to be a vacationing couple, with Lev carrying what appeared to be a large box of chocolates. Inside the box, however, was a gun fitted with a silencer. According to Israel Defense, the fighter dressed as a woman carried a map and distracted the bodyguard by asking for directions, which allowed Lev to shoot him dead. Israel had tested the disguise earlier at an Israeli mall, and after the “women” received random cat calls the outfit was deemed sufficient, it said. Another team killed a separate bodyguard and a gardener before entering the expansive villa. 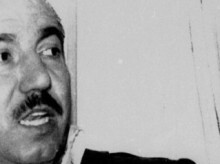 Lev’s partner was the first to fire at the Palestinian leader. When Lev noticed al-Wazir reaching for a weapon, he shot and killed him. Other participants then “verified the kill” by shooting the body several more times before the forces retreated to sea and back to Israel, the Yediot report said. Al-Wazir’s son, Jihad al-Wazir, who currently heads the Palestinian central bank, said the family had no comment. On the surface, Wazir was a quiet, soft spoken figure in an organization replete with flamboyant characters. He eschewed the high-living that tainted some PLO figures during the organization’s years in Beirut, with its night clubs and cafes. That enabled him to maintain the respect of all the factions within the often deeply divided PLO. — In 2010, Mahmoud al-Mabhouh, a top Hamas operative, was killed in a Dubai hotel room in an operation attributed to Israel’s Mossad.